Sajan the Monk is meditating in the square. He opens his eyes. A group of children has gathered in front of him. He holds out his hands, turning them palm up and palm down. He makes a flourish and a coin appears between his fingers. The children edge closer. Posted in Blog Posts and tagged PACG, Pathfinder Adventure Card Game, session report on November 28, 2013 by Tim. 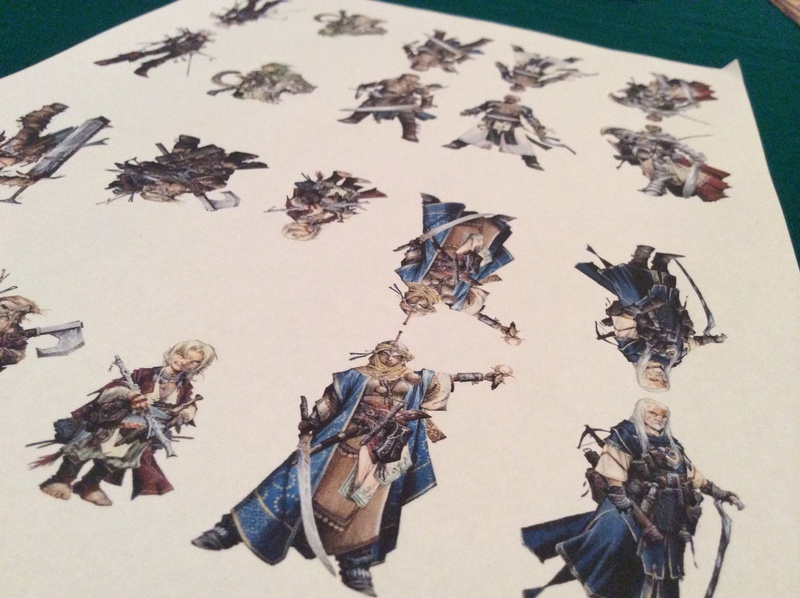 Today I got around to making my Pathfinder standees. I looked out the plastic stands from the Arkham Horror investigators to use with them. Posted in Blog Posts and tagged PACG, Pathfinder Adventure Card Game on November 26, 2013 by Tim. Seelah stands quietly, her eyes on the town in the valley below. Lini steps up beside her. Seelah is silent, her knuckles tighten on her sword-hilt. ‘I just did not want you to think you were the only fool around’, says Lini. 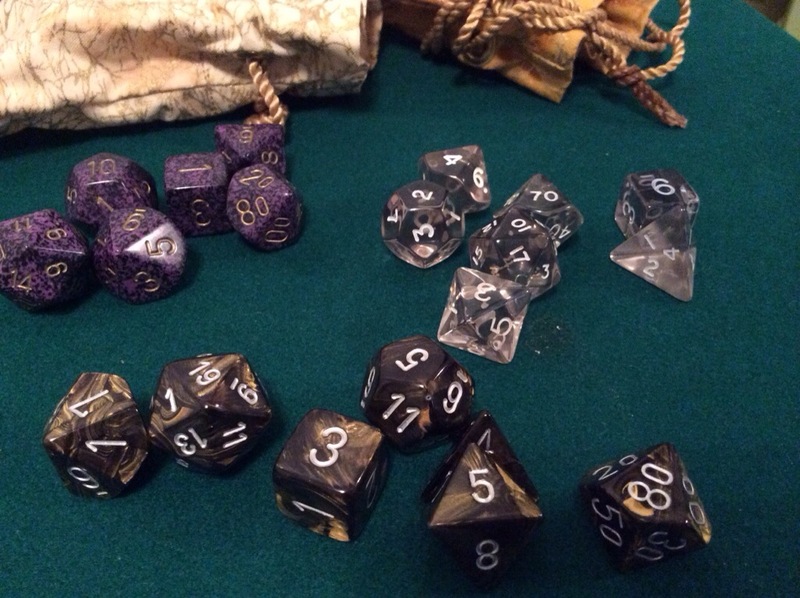 Posted in Blog Posts and tagged PACG, Pathfinder Adventure Card Game, session report on November 24, 2013 by Tim. The Crusaders drag their booty back to town where the citizens of Sandpoint greet them with cheers. The very next day the town holds its first Swallowtail Festival in thirteen years as a celebration. Posted in Blog Posts and tagged PACG, Pathfinder Adventure Card Game, session report on November 20, 2013 by Tim. “…but we came here to help them!” pleads Seelah the Paladin. “We have been in this region too long. There are many far lands to explore.” says Amiri the Barbarian. “My pets are missing the forests.” says Lini the Druid. Sajan the Monk is silent. His arms are folded. Posted in Blog Posts and tagged PACG, Pathfinder Adventure Card Game, session report on November 11, 2013 by Tim. The Crusaders (that’s the name of my new party – they were recruited by Seelah the Paladin to clean up the Lost Coast) have got rid of the local bandits and make their way into the town of Sandpoint for some well-earned rest. Unfortunately, someone is poisoning people and suspicion has fallen on Pillbug Podiker the local alchemist who has gone into hiding leaving poison traps all over town. Posted in Blog Posts and tagged PACG, Pathfinder Adventure Card Game, session report on November 9, 2013 by Tim. I have started from the beginning with my new party in the ‘Perils of the Lost Coast’ Adventure. The party is made up of the Paladin, Barbarian, Druid and Monk. It is interesting because the balance of the party is quite different, and it isn’t immediately obvious how to play each of the characters. I am very familiar with the classic Fighter/MU/Cleric/Thief combo but these new four don’t exactly fit the same roles and need much more thought. For example, the Paladin is basically a fighter-type but it seems both the Barbarian and Monk are better at thumping things. The Druid is sort of equivalent to a Wizard, i.e. weak with loads of spells, but she can pump her strength and dexterity checks. If she has an animal ally she is quite tough for a spellcaster. New classes do have to be different in flavour and play-style, otherwise there would be no point, but it will definitely take some time to get a handle on them. However, I have noticed they are low in intelligence skills, so essentially they are just a bunch of thickies roaming the Lost Coast looking for trouble. 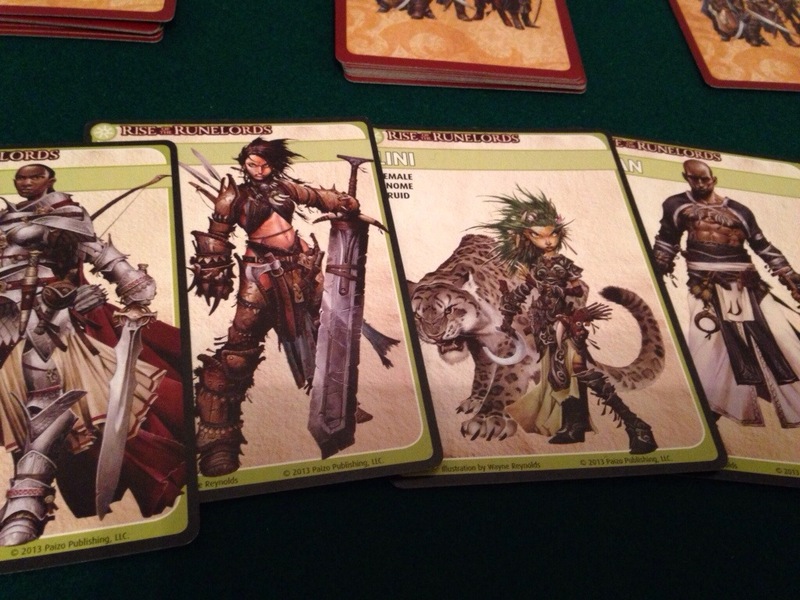 Posted in Blog Posts and tagged PACG, Pathfinder Adventure Card Game on November 9, 2013 by Tim. I probably used up a fortune in color ink. Now I need to cut them out and fold and glue them. I am hoping they will be stiff enough to stand up. Maybe I can stick them to a piece of card. I could fold them around the edge of the card so they would still line up. I also fancy cutting around the edges so they have a silhouette. My plans is to use the plastic stands from the Arkham Horror investigators. We don’t need them for AH, because we have all the investigator figures. Reaper miniatures do a range of Pathfinder figures that includes all these characters, but I think painting figures is overkill when they aren’t really used in the game except as semi-abstract positional tokens. Posted in Blog Posts and tagged PACG, Pathfinder Adventure Card Game on November 8, 2013 by Tim. Was thinking about getting the proper Pathfinder RPG beginner box, mainly to see what the RPG is like, but also to get the pawns which I could use in the card game. Also thought of getting the full Pathfinder RPG rules, but it is HUGE. I may still get the full rules out of interest. And maybe the Rise of the Runelords RPG campaign book. Might be fun to read that after playing the card game. Posted in Blog Posts and tagged PACG, Pathfinder Adventure Card Game on November 7, 2013 by Tim. We bought these ages ago and hardly used them. Not many games ask for d4, d8 or d12. Or percentiles. Or anything beyond a d6, really. Now I have a rpg-style game, so I can use them. I have a purple stone set, a clear set, and lovely molten gold set. Posted in Blog Posts on November 6, 2013 by Tim.